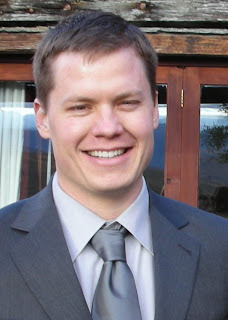 Secrets to Forex Profits Revealed! Your “Must Have” FREE Fully Automatic MT4 Email Expert Advisor, to keep you constantly informed about your trades! Put two traders in front of the screen, provide them with your best high-probability trading setup. It is only a matter of time, before you find one of them made much more profits than the other. I guarantee you a 60 day full money back. No questions asked. It is also guaranteed by Clickbank. In Less Than One Hour, Your Entire Trading Career can be turned around! Start Making Serious Cash Now!!! Think of it like a pacemaker, that regulates the beating of the heart. 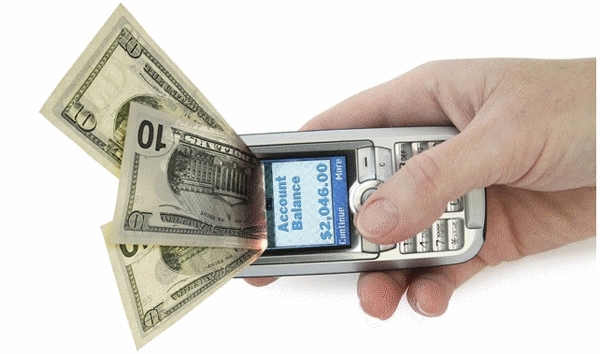 Forex Order Manager make the difference between making some money some times, and making a lot of money all the time! Hey guys! I'm stopping in here to talk to you real quick about this amazing product - The Forex Order Manager! I know we've all been debating heavily about the pros and cons of Automated Forex Trading Systems vs. Manual Trading in the forums, and it got me thinking - why can't we have the best of both worlds? There had to be a middle ground. 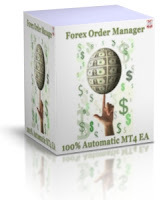 This software Forex Order Manager is the perfect blend of using our human edge, while still allowing robots to make us money even when we aren't in front of the trading station. I guarantee you guys won't be disappointed! Don't miss out on this amazing offer. 5 Star Service.. World class lifetime email customer support. Life time FREE Upgrades... So far 4 versions have been released in the past 5 years. Always optimized and ready for the ever changing Forex Market. NO Emotion. NO Fear. Fear is the biggest emotion to kill your profits. It is strictly business when it comes to the Forex Order Manager. This advisor will always stay in the market and keeps fighting for every last pip that it can earn for you. Step 1: You will get the Expert Advisor software (.EX4 file) and a detailed user manual by email. Step 2: Save the Expert Advisor in the experts folder of your MT4 platform. Step 3: Attach the Expert Advisor to any one chart. EURUSD is preferred because of the liquidity. (User manual provides a more detailed installation procedure). How to Get Instant Notification when your Orders are Closed? Your “Must Have” FREE Fully Automatic MT4 Email Expert Advisor, to keep you constantly informed about your trades. Are you a part time forex trader who places an order in the morning before work and keeps worrying throughout the day whether the order was closed profitable or not? Are you using an expert advisor and you need constant updates whether the EA is making profits or not? Then this MT4 Automatic email expert is for you. Just attach this Email Expert to one of the charts. Whenever any order gets closed either by your other EAs, or a stoploss or a takeprofit is triggered, your Email Expert will automatically send out an email to you with all the details about the order. If you have a cellphone, then you can get the messages as an SMS. It is now possible to see various Fibonacci Levels on the chart , REAL TIME, updating automatically !!! Your “Must Have”, FREE, Fully Automatic, MT4 Visual Fibonacci Indicator, to keep you constantly informed the various fib levels on the chart, without you lifting a finger. Many people try to make this analysis overly complicated scaring away many new forex traders. But this is not how it has to be. We've designed the "Visual Fibonacci Indicator", so that you can visually see the various Fibonacci levels that will help to improve the accuracy of the entry and exit point for every particular trade that you make. Just attach this Indicator to one of the charts. With every tick, your Visual Fibonacci Indicator will automatically check the swing high and low levels of the chart and draw the various fib levels, that you can customize. As a free service to you as our valued visitor, I've given here a pack of FREE forex robots/expert advisors for you to use. These non-commercial automated forex trading systems are definitely better than those expensive useless robots which just don't work! 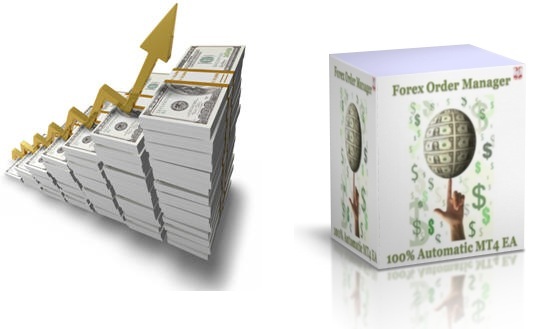 All the FREE automatic forex trading systems given here are developed by us using some of the most common and popular strategies. We hope that the FREE forex robots found on our web pages will shed a light on the use of auto pilot forex trading systems and help traders in beginning their journey towards greater forex profits. You can directly download the Expert Advisors and the Indicators and start using them. No strings attached. I say no more! Just take a few minutes today, go through the list of features given below. Your old Forex robots or your Manual trading methods would get an immediate boost with all the given features, in virtually no time. The best part? You can do it again and again, for different robots and all your manual trading , and on different accounts. I guarantee you that I will never ask for another cent on this topic again - no recurring billing, no upgrade fees, up sells, no spam emails, nothing! This is the total, comprehensive package!! All features are now enabled with on/off switches. Most of them have optional on-screen lines / arrows for quick visual understanding. Also you can decide whether to display the comments on screen or not, or the color of the display. you can also let the EA automatically decide the color based on whether your trades are in profit or loss. The user manual explains all the features and all the parameters in detail with examples. You have the ability to tell the EA which orders it has to manage. Option 1: Run on all open orders in the MT4 terminal. Option 2: Monitor only the currencies, on which the EA is attached. For example, all EURUSD trades. Option 3: Monitor only the orders that match with the magic numbers that you specify. For example, all trades with magic number 1. Option 4: Monitor only the orders that match with the comments that you specify. For example, all trades with comments "Strategy abc". Option 5: Monitor only a specific order using a ticket number. If the manual trades or the trades opened by other EAs do not have take profit or stoploss values, then you can use this feature to set them. All orders that matches your selection criteria will be modified. If stoplosses are already present in the order, then it will not be disturbed. Additional option 1: You can use the option of using ATR (Average True Range) as the initial stoploss. multiplier, so that you can use 1.5 or 2 times of the range as a stoploss. All orders that matches your selection criteria will be modified to trail the profits. You can set an activation point, from which the profit trailing will start. You can also define the incremental steps that you want your stoploss to be modified. You can use profit trailing either in terms of number of pips or by dollars (or any other base currency of your broker). Additional option 1: You can use the option of starting the trail only after achieving Breakeven. In other words you use profit trailing if you want take out the defined take profit, and at the same time want to make the maximum possible profit if the market continues to move in your favor. Additional option 2: You can use the option of using ATR (Average True Range) as the trailing stoploss. multiplier, so that you can use 1.5 or 2 times of the range as a trailing stoploss. This feature is used to protect your individual trades and hence your overall account from making loss. You can set a breakeven point, let’s say 20 pips. Whenever the orders that match the selection criteria reach a profit of 20 pips, they will be modified to move the stoploss to the order open price. You can also lock in a few pips of profit if you want. This ensures that all your trades are protected from any loss, and you can continue to have a free run. Sometime brokers indulge in an unethical action of stop hunting. Meaning, they look at your trades and their stops, and in case the market reaches a level near the stops, they manipulate the prices a little to make your stops hit, before the market turns around. The Hidden stop and profit levels of the EA will prevent them from doing it to you. You can set the stoploss and takeprofit levels in the EA, without setting them in the orders. The EA will continuously monitor your open trades, and will close your orders automatically when the levels are hit. You can set the levels either in terms of number of pips (example 20 pips stoploss and 30 pips takeprofit), or in terms of dollars (example 20 dollars stoploss and 30 dollars takeprofit). Additional option 1: You can also use the option of placing opposite orders when your hidden stops are hit. For example, you can specify that in case your BUY order reaches a stoploss of 30 pips, then automatically open a new SELL order of, let’s say 25% lots of the original BUY order. You can configure the levels and the percentages. Additional option 2: You have an option to show the hidden stoploss and takeprofit levels on the chart, when the EA is attached to the same chart as that of the order. This will help you visually see the levels on the chart, but the orders will not have the levels in them. When the orders reach a given profit, a specified percentage of the orders are closed. For example, when a profit of 50 pips is reached, you can make the EA close 25% of the lots and let the remaining orders continue. Using this feature you can lock in a percentage of profits, if you feel there is a risk of market reversing. Additional option: You can use this option to let the EA repeat the process for every 50 pips profit till it closes all the open lots. Otherwise you can limit the percentage of lots that you want the EA to close automatically. For example you can stop the EA from closing more orders, after closing 50% of the original lots. This means if your original lotsize is 1 lot, then when your order reaches 50 pips profit, 0.25 lots will be closed. When it reaches 100 pips profit, again another 0.25 of the lots are closed. The remaining 0.5 lots are kept open till you manually close them or till a take profit level is hit. When the orders reach a given loss, a specified percentage of the orders are closed. For example, when a loss of 25 pips is reached, you can make the EA close 25% of the lots and let the remaining orders continue. Using this feature you can reduce the risk by closing a portion of your position, when your initial prediction of the market direction fails. History in your MT4 session is used in this operation to identify the orders previously closed by the EA. Additional option: You can use this feature to let the EA repeat the process for every 25 pips loss till it closes all the open lots. Otherwise you can limit the percentage of lots that you want the EA to close automatically. For example you can stop the EA from closing more orders, after closing 50% of the original lots. When the orders reach a given profit, you can add new positions as a specified percentage of the original orders. For example, when a profit of 25 pips is reached, you can make the EA add new orders with 25% of the original lots. Using this feature you can add more to your winning positions to maximize your profit. Additional option: You can use this feature to let the EA repeat the process a given number of times without adding infinite number of orders. For example you can make the EA open a maximum of 4 such orders of 25% lots each. When the orders reach a given loss, you can add new positions as a specified percentage of the original orders. For example, when a loss of 25 pips is reached, you can make the EA add new orders with 25% of the original lots. Using this feature you can average down your losing positions, if you feel the market will reverse definitely, and you want to maximize your profit during the reversal. Sometimes you might have specific target in mind for a currency, and you want to close all your orders when the target is hit. For example you might want to close all your EURUSD BUY orders, when the EURUSD reaches 1.4000. Or you might close all your EURUSD SELL orders when EURUSD reaches 1.3000. Or you can combine both the options to close all EURUSD orders. All orders that match your selection criteria will be monitored. All orders will be closed, whenever the cumulative profit reaches the specified dollar amount (or any other base currency of your broker). All orders that match your selection criteria will be monitored. All orders will be closed, whenever the cumulative loss reaches the specified dollar amount (or any other base currency of your broker). All orders will be closed, whenever the cumulative profit or loss reaches the specified profit percentage (or any other base currency of your broker). All orders will be closed, whenever the cumulative profit or loss reaches the specified drawdown or maximum profit percentages (or any other base currency of your broker). All orders that match your selection criteria will be closed immediately. This option is useful when you have a lot of trades open. Closing one by one will take a long time, and this EA can close all of them in one shot. All orders that match your selection criteria will be closed at the specified time. This option is useful when you want to close all the open orders before a specified news release, or every day at 23 hrs and 30 minutes. The time is set based on your chart time. ...and if you're unsatisfied in ANY way, we'll give your money back, guaranteed for sixty days! It'd be irresponsible to pass this offer up! All orders processed securely using industry-standard 128-bit SSL Encryption to guarantee your privacy. Immediately after your purchase, We will be sending you an email with a link to download the materials.